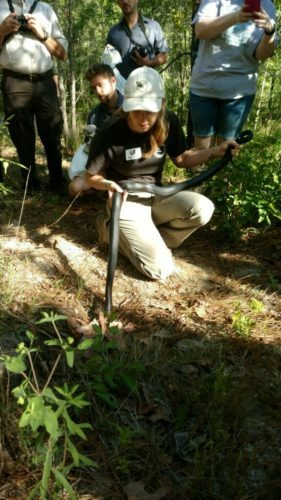 The Central Florida Zoo & Botanical Gardens is very excited to announce that 20 eastern indigo snakes were released into the Conecuh National Forest in early May. This most recent release marks the halfway point for an ambitious repatriation program in south Alabama, with an ultimate program goal of 300 snakes released. 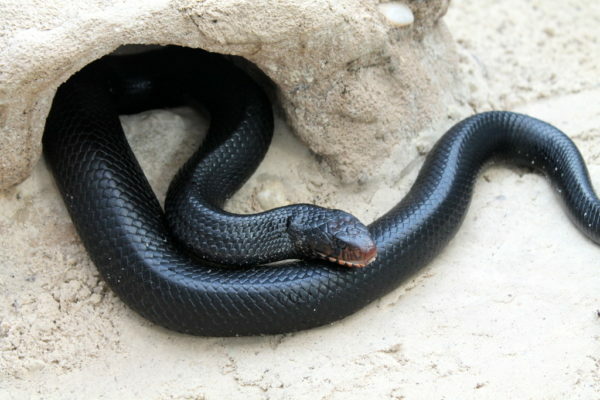 The Central Florida Zoo’s Orianne Center for Indigo Conservation (OCIC) has been responsible for providing eastern indigo snakes for release at this site for the past several years. The Orianne Center for Indigo Conservation is located in Eustis, Florida, and is operated by the Central Florida Zoo & Botanical Gardens. This one-of-a-kind facility is the sole location breeding eastern indigo snakes for release back into the wild. Michelle Hoffman, the OCIC’s Deputy Director, also serves as the Studbook Keeper and SSP Coordinator for the eastern indigo snake Species Survival Plan® through the Association of Zoos & Aquariums. 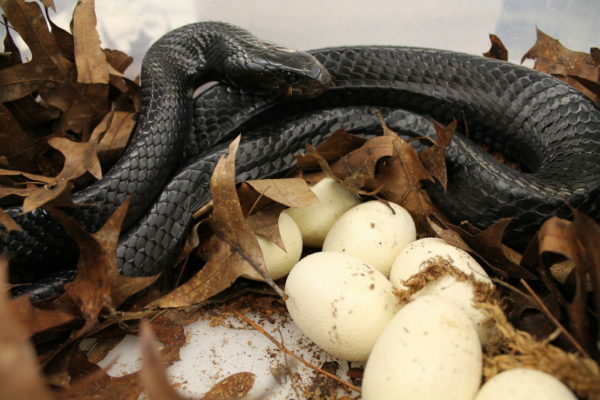 This coordinated, managed breeding effort ensures genetic variability among eastern indigo snakes. For this latest release, the 20 individual snakes were outfitted with PIT (passive integrated transponder) tags prior to release. PIT tags function very similarly to the microchips used in cats and dogs for identification; if a wild snake is found, the implanted PIT tag can be scanned with a microchip reader to identify the individual snake. This allows for much needed follow-up in determining how well these released snakes are surviving in the wild. 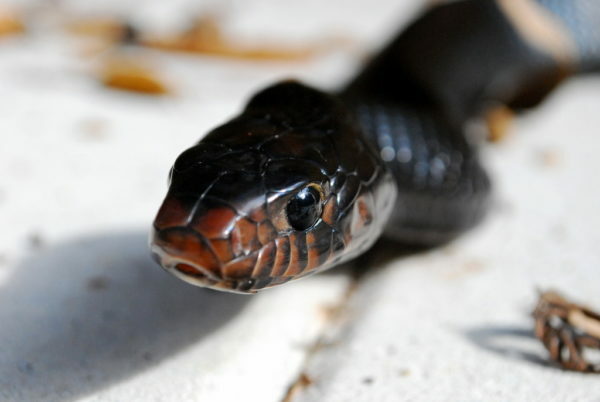 The eastern indigo snake is an apex predator in the longleaf pine ecosystems in the southeastern United States. In 1978, the eastern indigo snake was federally listed as Threatened under the Endangered Species Act. Habitat loss and over collection for the pet trade contributed to the decline of this species, and the eastern indigo snake is now only found in Florida and parts of Georgia, with the exception of the released individual snakes in south Alabama. The main threats to eastern indigo snakes continue to be habitat loss, degradation, and fragmentation. 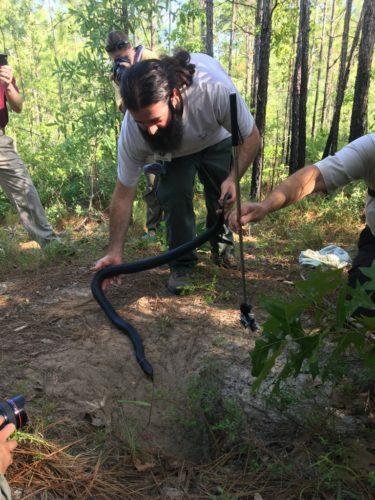 In addition to the reintroduction site in the Conecuh National Forest, the OCIC began eastern indigo snake releases at the Apalachicola Bluffs and Ravines Preserve in northern Florida in 2017. 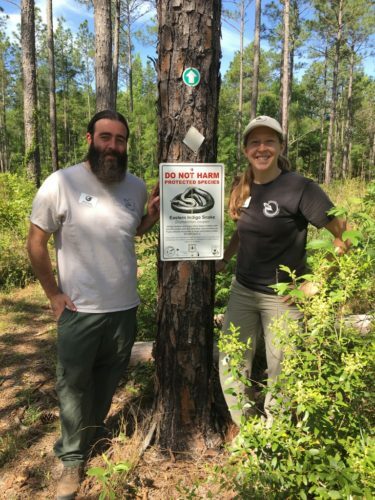 These two release sites ensure that the eastern indigo snake, an icon of southeastern longleaf pine ecosystems, is preserved for future generations. The Central Florida Zoo & Botanical Gardens and the Orianne Center for Indigo Conservation would like to recognize the hard work of our partners in these release efforts: U.S. Fish and Wildlife Service, Florida Fish and Wildlife Conservation Commission, Alabama Department of Conservation and Natural Resources, Georgia Department of Natural Resources, The Orianne Society, The Nature Conservancy, Auburn University, U.S. Forest Service, The Joseph W. Jones Center, ZooTampa at Lowry Park, Welaka National Fish Hatchery, and Zoo Atlanta. For the latest on theme parks, attractions, dining venues and more across the region, be sure to follow Touring Central Florida on twitter @TourCentralFL, @androckb & @Emmet_TCF, and give our facebook page a like.